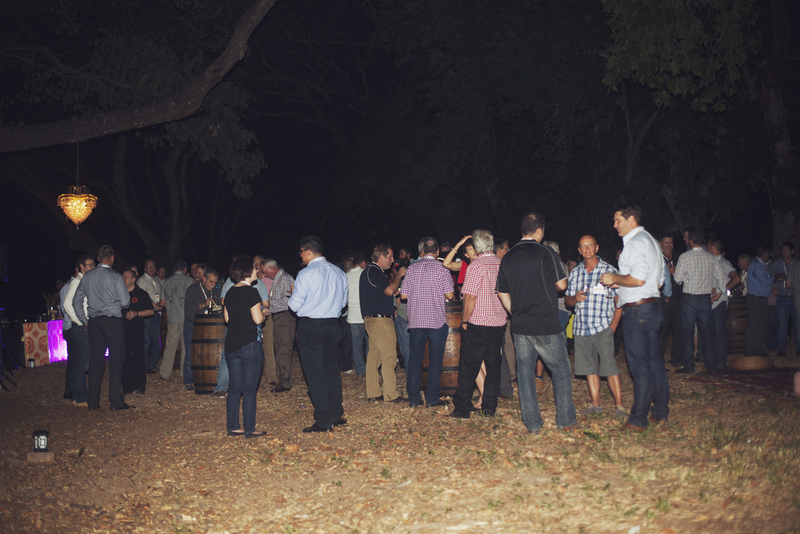 Key representatives from the Australian mango industry came together to collaborate and shape the future of the Australian mango industry at the 10th Australian Mango Conference held in Darwin from the 25th to 28th May 2015. 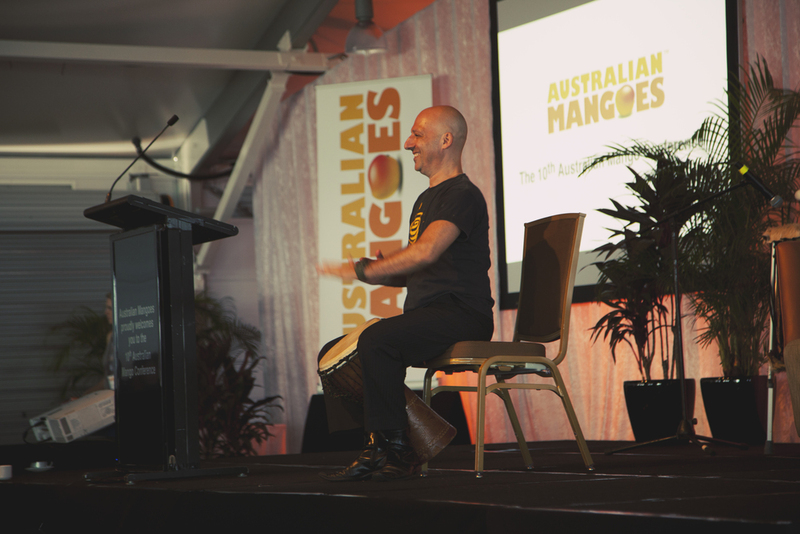 The Conference celebrated the biggest Australian mango crop in history and was the first chapter in a new story for the industry as it moves to create a strong and profitable future. 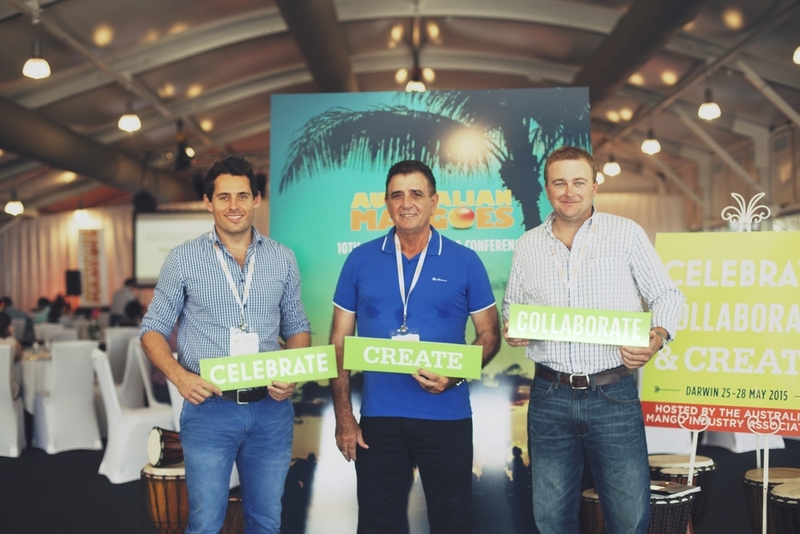 Celebrate, collaborate and create was the theme and the waterfront lawns at Darwin’s Skycity Casino set the backdrop for the event that focused on the four spokes of the Wheel of Velocity and Momentum– crop forecasting, mango quality, supply chain engagement and consumer marketing. 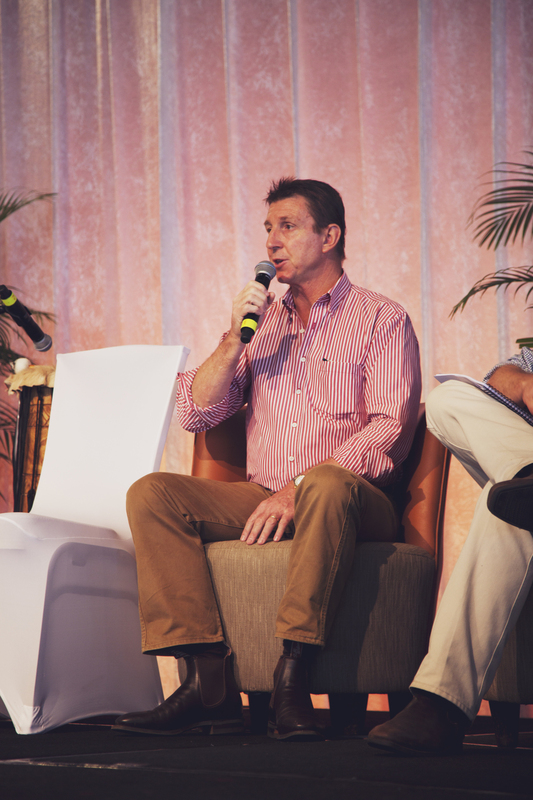 The Northern Territory Minister for Primary Industry and Fisheries Willem Westra van Holthe opened the Conference and spoke about taking advantage of opportunities for northern Australia. 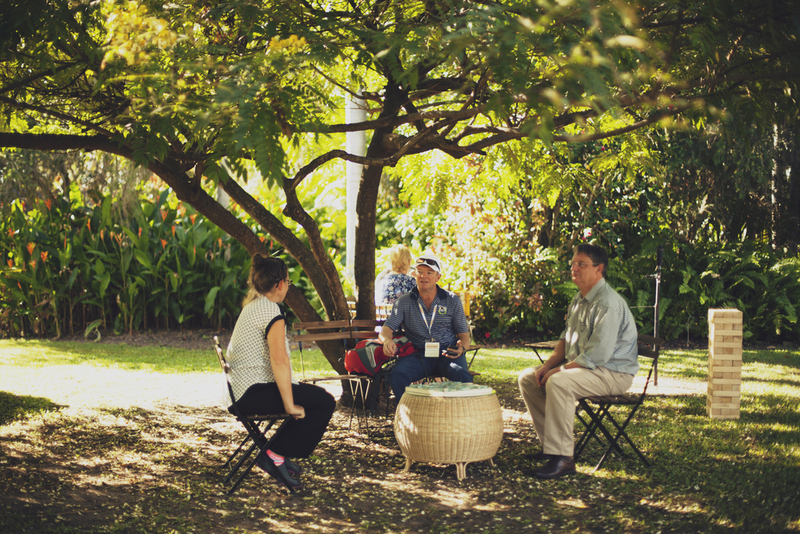 While the Federal Minister for Agriculture, the Hon Barnaby Joyce was unable to attend the event in person, he sent a message of support to the industry stating ‘It’s a great time to be a mango grower in Australia’. 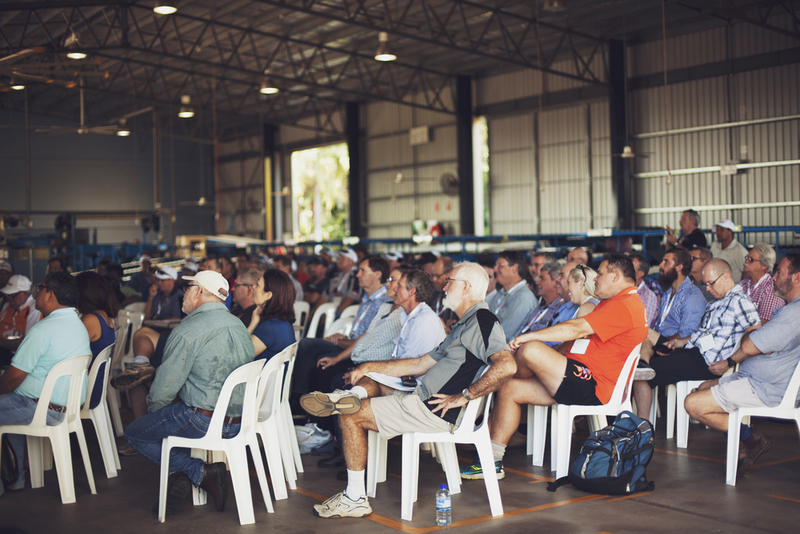 Delegates discussed the growth potential of the industry and heard ways to increase profitability from speakers. Highlights included an update on the new look mango marketing campaign which will continue through the upcoming mango season. The results from consumer research undertaken during the 2014/15 season were discussed and new industry quality standards were announced. Keynote Speaker Dawn Gray gave an international perspective and reinforced the importance of transparency to consumers in regards to food safety, health and wellness and accountability. Key retailers not only attended the conference, but spoke to delegates about velocity and momentum at retail. Their unified message was “mango quality” and that this is the most important factor to consumer’s repeat purchase. They credited the industry’s crop forecast and engagement with assisting them to adapt their marketing campaigns and store tactics to mirror the crop volumes, flow and timing. This underpinned the increase in consumer demand and consumption. 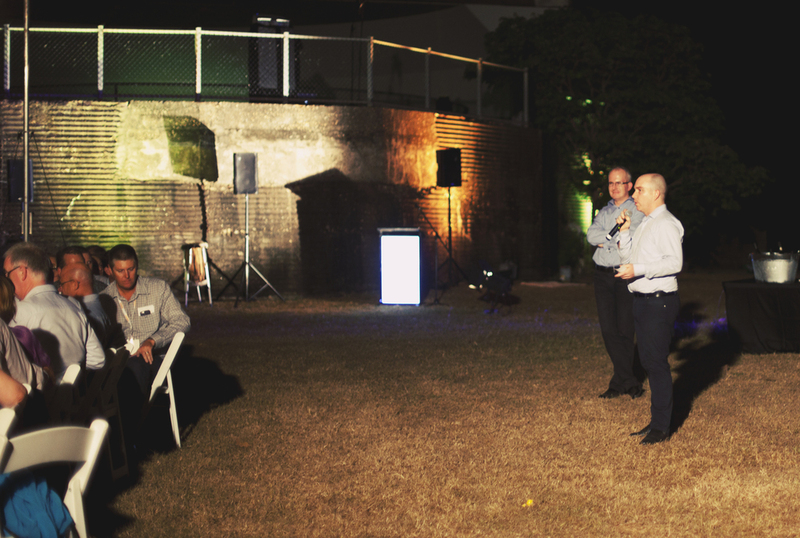 If it wasn’t the content that delegates were raving about, it was the evening events that captured their imagination. 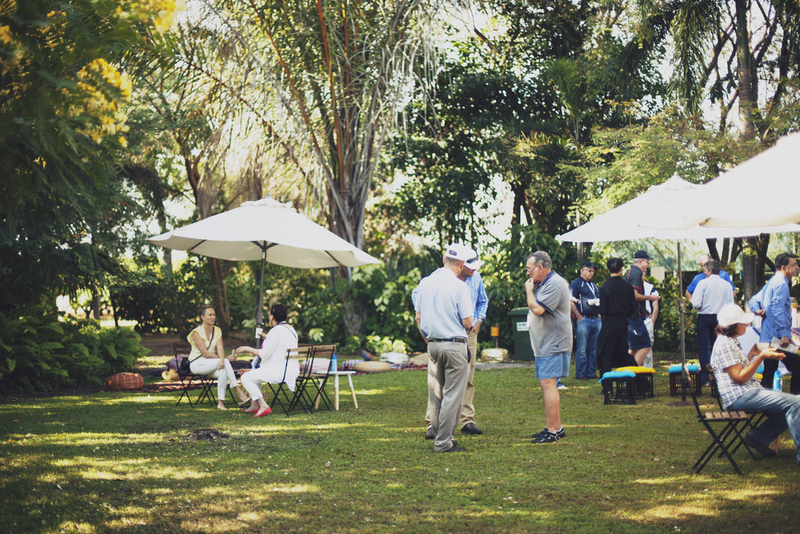 The Moroccan themed Welcome Reception was held under a canopy of trees and chandeliers at the Darwin Botanic Gardens and was hosted by Silver Sponsor Harris Farm Markets. 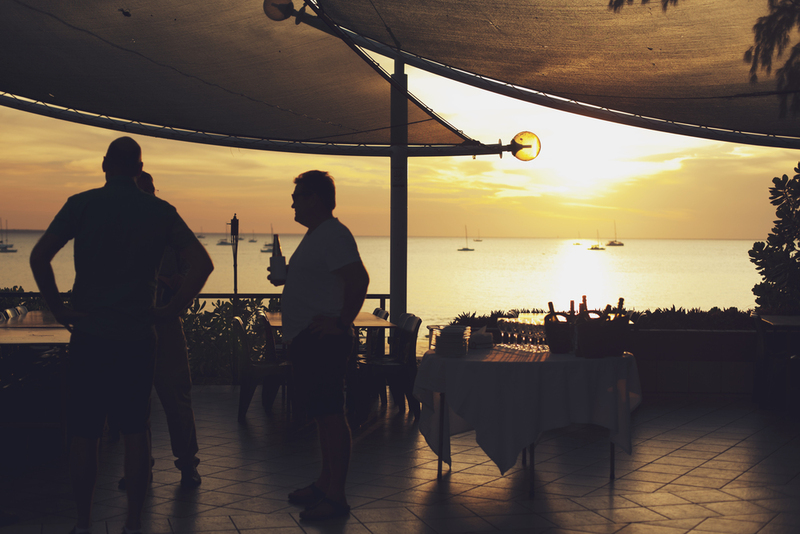 Platinum Sponsor Woolworths hosted the Gala Dinner during sunset at the Gun Turrets at East Point Reserve. 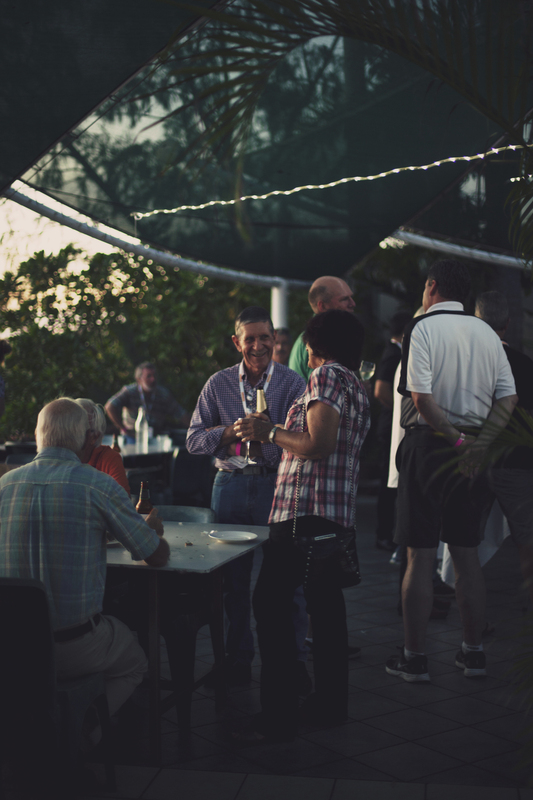 The evening was full of surprises and delegates celebrated the successes of the last two days while being treated to a quintessential Darwin experience. 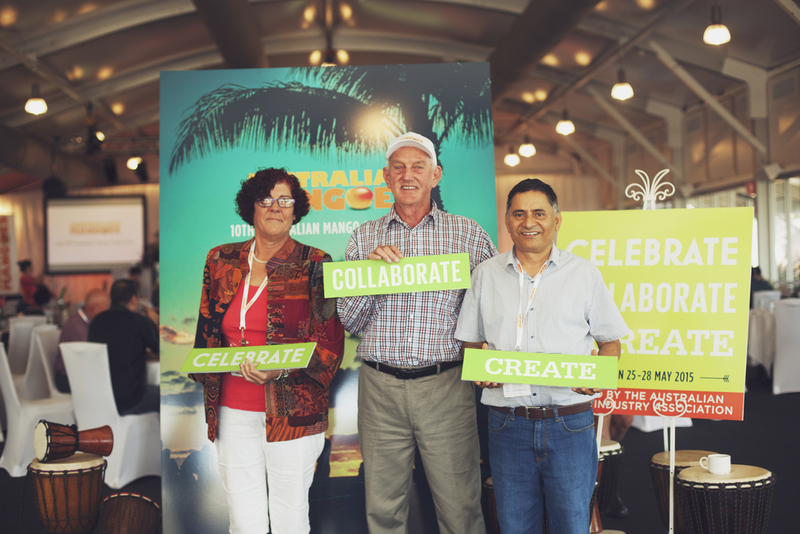 The success of the export program was celebrated during Day Two of the conference. 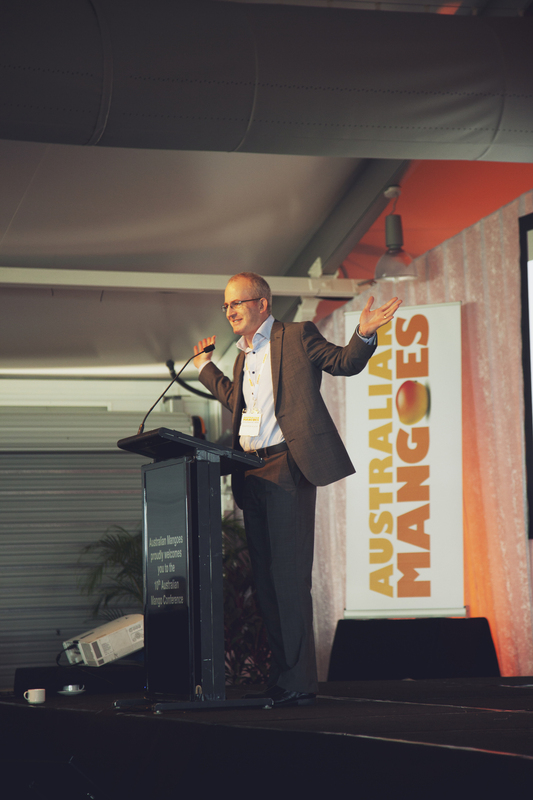 This past season, mango exports grew by 20%, exports to Korea doubled when compared to last season and the first ever Australian mangoes were sold to US consumers. Delegates heard from US mango importers and Chang-Hwa Oh, president of Jinwon Trading, a leading mango importer in Korea. Minister Westra van Holthe was a special guest on the panel ‘Collaborating to take advantage of opportunities’. Arnhem Mangoes at Lambells Lagoon pulled out all stops and impressed as hosts of the Field Day component of the Conference. 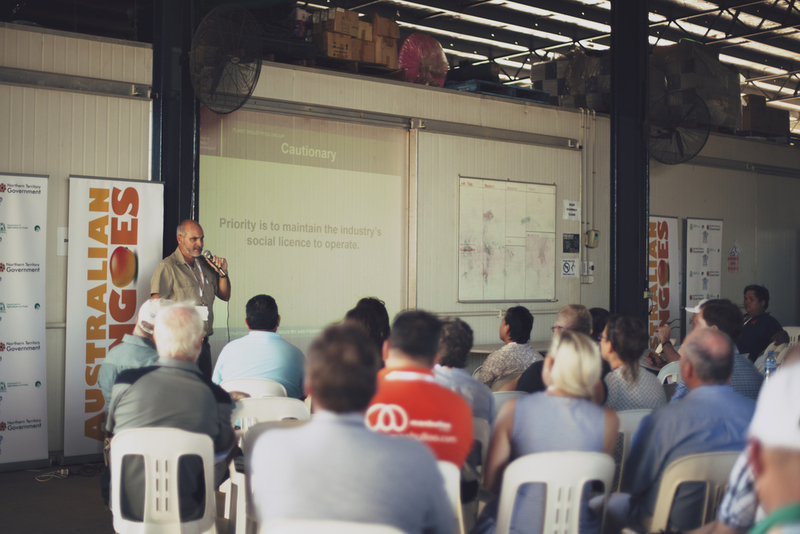 Held on Thursday 28th May, delegates heard updates from a number of mango research projects such as Resin Canal Discolouration and mango crop manipulation. 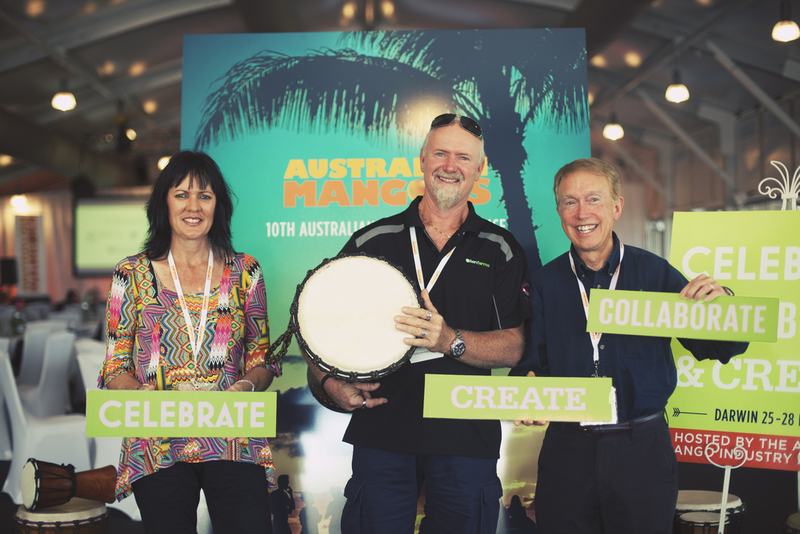 The 10th Australian Mango Conference was hosted by the Australian Mango Industry Association, in partnership with Horticulture Innovation Australia and Platinum Sponsor Woolworths.